Since becoming CEO in April of 2014, James has led PenFed’s asset growth from $17.6 Billion to over $20 Billion; grew its Net Income from $116 million in 2013, $138 million in 2014, and $159 million in 2015; and increased its membership from 1.29 million to over 1.41 million members. As part of PenFed’s leadership team since 2001, he has led most of Penfed’s operating divisions. 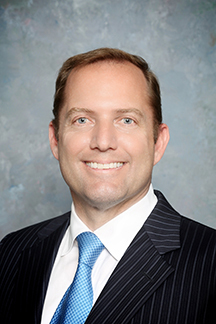 Since 2011, he has been executive vice president at PenFed and president of its wholly owned subsidiary, PenFed Realty. He has also served the credit union in past years as chief operating officer and chief administrative officer. He also currently serves as president of the PenFed Foundation which provides support to military, veterans and their families. Prior to joining PenFed, James served on the Army Staff in the Office of the Deputy Chief of Staff for Operations and Plans prior to his selection to serve as a Special Assistant to the Secretary of the Army. He received the Legion of Merit for his contribution to the Army by overseeing the creation of the $453 million dollar Army University Access Online educational initiative. Prior to his assignment to the Pentagon, James taught economics and finance at the United States Military Academy. James is a graduate of the Harvard Business School and West Point. He is a former member of the West Point Federal Credit Union and Pentagon Federal Credit Union Board of Director’s. Additionally, he was a former term member on the Council on Foreign Relations in Washington, DC. James currently serves on the board of directors of Lasermax, headquartered in Rochester, NY; Senior Advisor to BizFlow Corporation and Board of Advisors for the Center for New American Security (CNAS) in Washington, DC. In March of 2015, James was selected by HillVets as one of the 100 most influential impactful veterans in the United States.